The Beauty and The Beast. . HD Wallpaper and background images in the Beauty and the Beast club tagged: photo the beauty and the beast belle disney princess beast adam. This Beauty and the Beast wallpaper might contain stained glass window. Beautiful Gorgeous Romantic lovely photo! 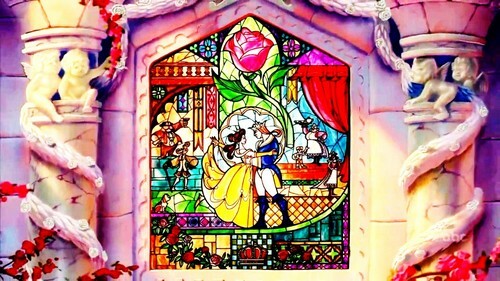 I love this stain glassed window from the movie! It's so breathtaking!